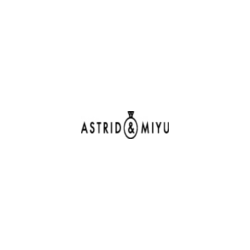 Shopping the easyfundraising way with Astrid & Miyu, could not be easier. Follow the instructions below, and create an account today to start supporting a cause or charity of your choice. Astrid & Miyu design unique yet wearable quality design jewellery, based in West London. Since launch in 2012, they've become a go-to brand for fashion editors, celebrities, bloggers as well as fashion buyers, being featured in many top fashion publications.